A New Hope gave us R2-D2. Return of the Jedi gave us Ewoks. The Force Awakens gave us BB-8. And now, The Last Jedi is giving us a new, adorable Star Wars creature too. They’re called Porgs, and they’re like perfectly-sized, potato-penguin hybrids. No joke, we fell in love the second we saw them. Disney is keeping a lid on most Star Wars: The Last Jedi details (like will we discover Rey’s parentage? ), but they just released some details on a few new characters we’ll see in the film via Entertainment Weekly. And — this can’t be said enough — the creatures called Porgs stole our hearts immediately. ILM / © 2017 LUCASFILM LTD.
They’re Luke’s buddies on the island we saw him on at the end of The Force Awakens. So, sorta like Luke’s equivalent of Wilson, the volleyball from Castaway. 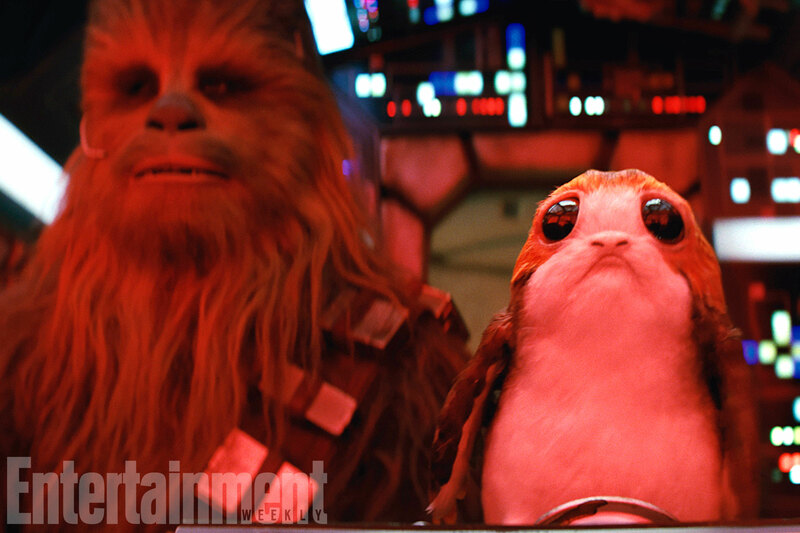 The internet suitably lost their minds when the first photo of a Porg with Chewbacca in the Millennium Falcon was released. Because who wouldn’t freak out?! Now, take a moment and decide how you feel about Porgs, but just know that anything other than instant Porg-obsession is unacceptable. BECAUSE THEIR EYES ARE SO FULL OF EMOTION. Star Wars: The Last Jedi will fly into theaters (with Porgs) on December 15th. Let’s hope that this pictured Porg knows how to land the Millennium Falcon, or at the very least has an intergalactic driver’s license. Although who would arrest that adorableness?